James Boratko became the organist and music director of First Church in 1997. Music has always been Jim’s second, concurrent career to his full time position in the corporate IT organizations for The Hartford and MassMutual. Now retired from corporate life, he devotes his efforts full time to fulfill his passion for music. In addition to his position at First Church, he directs both The Choral Club of Hartford and the Rock Voices choir in West Hartford. He also plays with multiple ensembles, including Simply Swing, Still Kickin’ and the Big City Horns, and DenMar Jamz. Jim composes, arranges, and performs audio production recording. 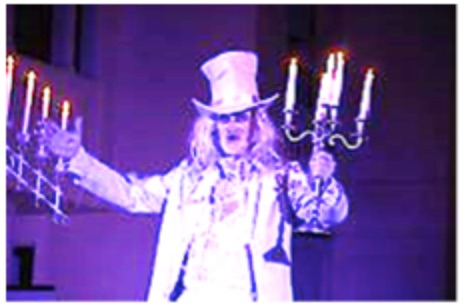 His alter-ego, the Phantom of the First Church Crypt, performs Halloween Organ Concerts in late October. He continually pushes the edge of choral presentations, often including visual and spatial elements in performance as well as musical elements.